May is nationally recognized as a month to celebrate mothers. At PCCT we know that mothers come in a variety of forms. We work with natural mothers, adoptive mothers, foster mothers – all in an effort to keep kids safe and nurtured. Our vision is that all parents have the knowledge and skills to protect, nurture, and provide for their own child. The Parent Child Center of Tulsa offers a variety of services that help to support and educate mothers. 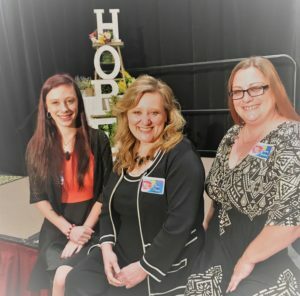 Our Bright Beginnings nurse educators meet with the vast majority of mothers of newborns in Tulsa County before they are released from the hospital. Moms are taught the importance of talking, singing, and reading to infants, as well as coping skills for infant crying – which can be a trigger for child abuse. 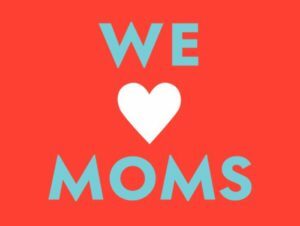 Our nurse educators then refer moms to our free Tulsa Family Connects nurse home visiting program (available to moms who live in Tulsa County as well as deliver at Hillcrest Hospital), and to our free Parents as Teachers Home Visiting programs. These programs, in addition to our counseling services, are designed to keep children safe and protected. You can help us support mothers and children by generously donating today. Your gift will help mothers like Miranda. “My mom had me when she was 15 years old, and was really strung out on drugs. Growing up I didn’t have a father. My mom was a drug addict, and the man that raised me from the age of 4 to the age of 8 walked out on me and went to prison. I got fed up seeing my mom on drugs and I left. I ran away when I was 11 years old with a couple of friends. I tried to do it all on my own. I went back to school. I had a job. And then the father of my daughter hurt her. When that happened, my whole world crashed. I lost the one person that I loved with all my heart, and thought would never leave me. DHS took her from me. I was told I had to do several different things to get her back, and one of those requirements was go to parenting classes at PCCT. When I got to PCCT, I was hopeless. I had given up, and I didn’t want to fight any more. Then I met my therapist, Kim Thomas. She taught me how to create a healthy relationship with my child, and ultimately to be a better mother. She also helped me and my mom rebuild our relationship. When we started therapy with Kim, I hadn’t forgiven my mother for all she put me through. But with time and effort, we survived. We don’t fight the way we did before, and it’s wonderful. When Kim and I worked together, she showed me that just because life brings you down it doesn’t mean that you can’t get up and dust yourself off.